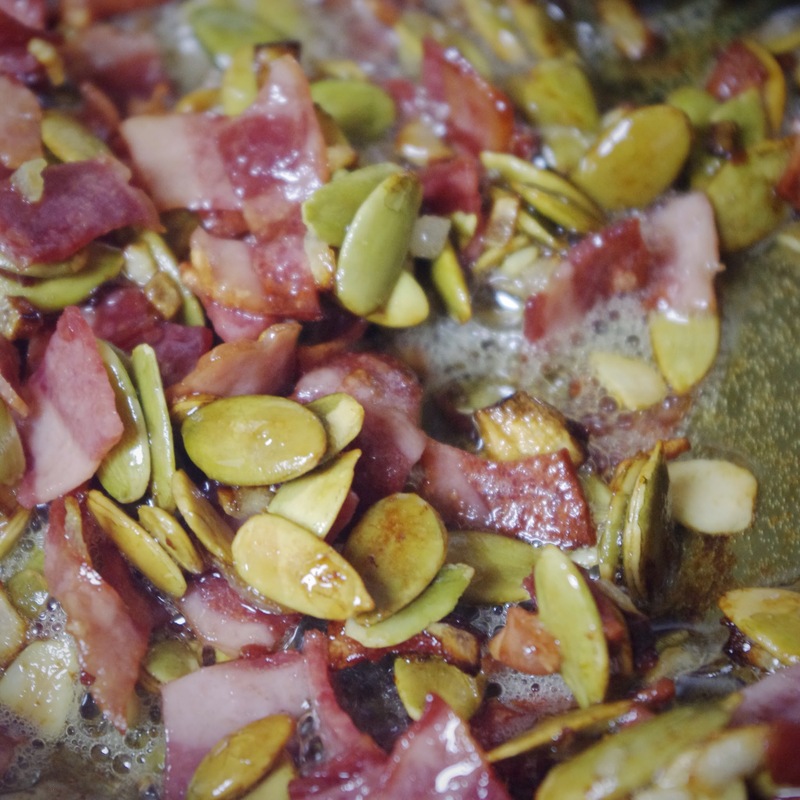 j+w: .thanksgiving recipe: bacon and pepita salad. .thanksgiving recipe: bacon and pepita salad. Salad is a "safe" food for me, so I eat it a lot. Not to mention it's delicious and good for you! And who doesn't love bacon, really? 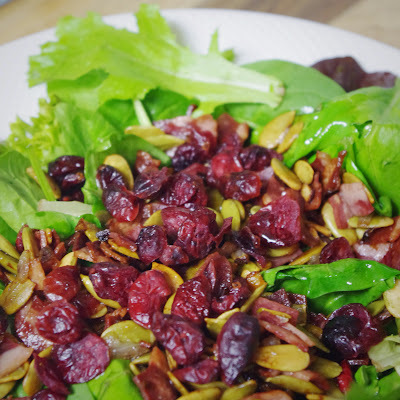 This salad is so satisfying for me; I often have it for dinner just by itself. And it's definitely on my Thanksgiving dinner menu! Because many store-bought salad dressings contain soy, dairy, or food coloring, we have started just drizzling our salads with an oil and balsamic vinegar. If you haven't done this before, this is the perfect salad to try it! 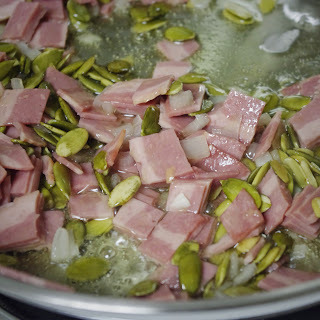 I think this would be wonderful with cheese, as well, maybe a feta, or other similar cheese. Because I cannot have dairy, though, I've never tried it! Labels: .allergy-free cooking., .diet., .recipe., .thanksgiving. Oh wow! That really does look delicious. I love the idea of a warm dressing...can't wait to try this! That looks delish! I think I'd try it with a little bleu cheese, but that's probably because I think the stuff tastes great with bacon. Yummy. If I wasn't on a dairy-free diet right now, I'd definitely try a little bleu cheese! I found my pepitas in the bulk-food section of my grocery store. I hope you find some and can try this tasty salad for yourself!